Pre-publication Praise:"Over the last five years, there have been impressive advances in numerical relativity. It has now become a central area in the fast growing field of gravitational wave physics. These tools have played an important role also in the theory of critical phenomena associated with gravitational collapse, loop quantum cosmology and the discussion of quantum black holes and black branes. The book by Baumgarte and Shapiro provides an excellent introduction to the subject covering both, mathematical aspects and numerical techniques. The authors are world leaders in numerical relativity and their contributions have shaped neutron star simulations, the new frontier of this field. This book will soon become the standard advanced text for younger researchers entering the field and will also serve as the authoritative reference for senior researchers in numerical relativity and neighboring fields." Pre-publication Praise:"Numerical relativity has come of age with a number of recent breakthroughs. Two leading experts give a lucid as well as richly detailed account building a bridge from the basics to current research -- highly recommended." Pre-publication Praise:"Numerical relativity has come of age in the last few years, and Baumgarte and Shapiro have produced the first textbook on the subject. And what a book this is! Sufficiently complete to be an encyclopedia, yet accessible enough to be a genuine learning manual, the book is exceedingly well written. It covers virtually all aspects of numerical relativity, from formalism to the most modern application, and it is replete with beautiful and helpful diagrams. The book will serve as a useful reference to the researcher, and a source of enlightenment to many a student." Pre-publication Praise:"Quiescent black holes are well understood, but until recently nobody could calculate how they behave when they collide with each other, or are in the process of formation. Recent breakthroughs make such computations possible -- an advance that is crucially important for understanding galactic nuclei and gravitational waves. Baumgarte and Shapiro are established leaders in this subject. Their book is a timely contribution to the literature, and the ideal primer for researchers newly attracted to the burgeoning field of computational relativity." "This is an extraordinary, big, dense book. 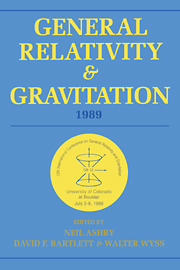 It captures much of the recent advance in computational modeling of gravitational systems via Einstein’s description of gravity (General Relativity ) which subsumes Special Relativity  (high velocity systems with no gravity)... No book can cover all aspects of any modern field, and the experience of the authors is visible in the subjects they present. But this book is satisfyingly thorough on what it covers. If you want to understand how the merger of compact astrophysical objects (e.g. 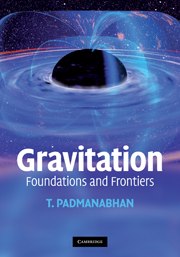 spinning black holes) is modeled and what signal the produced waveform will create in a gravitational wave detector, this book is essential. There is none other like it." "It is difficult to imagine that a book covering a field at the intersection of multiple disciplines could please all possible audiences. 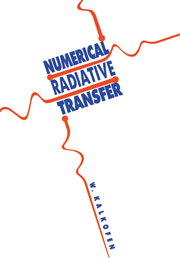 Nonetheless, Numerical Relativity hits the mark in its comprehensive coverage; it will be useful to practitioners in the field and especially graduate students wishing to join them in this active and exciting area of research." 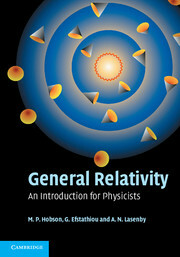 "Numerical Relativity is a comprehensive introduction to the numerical solution of the equations of general relativity. Numerical Relativity will be widely used as a handbook for those entering the field, as a reference for active investigators, and as a source for scholars in related fields. Libraries at any institution with an active research program in astrophysics or general relativity should have a copy. Scientists working in numerical relativity will want their own copies." 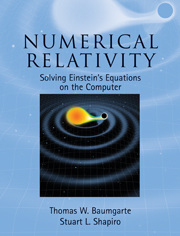 "Numerical Relativity hits the mark in its quite comprehensive coverage; it will be useful to practitioners in the field and especially to graduate students wishing to join them in this active and exciting area of research." 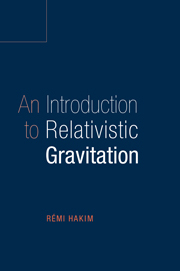 "This book provides a comprehensive reference on numerical relativity by familiarizing its readers with the fundamental concepts of general relativity and relevant numerical methods, with a view toward the most important applications. 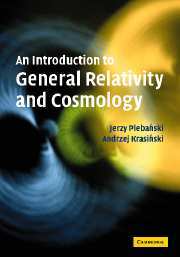 The authors recommend their book to students and researchers with a solid background in the basic theory of general relativity. However, based on the systematic organization of the book and its clear and adequate content, it could also be useful to those in other disciplines with related skills." Thomas W. Baumgarte is a Professor of Physics at Bowdoin College, and an Adjunct Professor of Physics at the University of Illinois at Urbana-Champaign. He received his Diploma (1993) and Doctorate (1995) from Ludwig-Maximilians-Universität, München, and held postdoctoral positions at Cornell University and the University of Illinois before joining the faculty at Bowdoin College. He is a recipient of a John Simon Guggenheim Memorial Foundation Fellowship. He has written over 65 research articles on a variety of topics in general relativity and relativistic astrophysics, including black holes and neutron stars, gravitational collapse, and more formal mathematical issues. Stuart L. Shapiro is a Professor of Physics and Astronomy at the University of Illinois at Urbana-Champaign. He received his A.B. from Harvard (1969) and his Ph.D. from Princeton (1973). He has published over 335 research articles spanning many topics in general relativity and theoretical astrophysics and co-authored the widely used textbook Black Holes, White Dwarfs and Neutron Stars; The Physics of Compact Objects (John Wiley, 1983). In addition to numerical relativity, Shapiro has worked on the physics and astrophysics of black holes and neutron stars, relativistic hydrodynamics, magnetohydrodynamics and stellar dynamics, and the generation of gravitational waves. He is a recipient of an IBM Supercomputing Award, a Forefronts of Large-Scale Computation Award, an Alfred P. Snow Research Fellowship, a John Simon Guggenheim Memorial Foundation Fellowship, and several teaching citations. He has served on the editorial boards of The Astrophysical Journal Letters and Classical and Quantum Gravity. He was elected Fellow of both the American Physical Society and Institute of Physics (UK).